While hedges are often planted and grown simply for ornamental purposes, privacy is an important factor in the search for the perfect hedging plant for your garden. Privacy hedging is a popular choice for anyone who wishes to spend a lot of time outdoors whenever the weather allows. But a hedge can also block the prying eyes of passers-by from peeking through your windows, especially if you live in the city. Many gardeners will only be satisfied with a dense, compact screening hedge that creates a green “garden wall”. However, even if a hedging plant has a somewhat more open growth habit, it might still be perfectly acceptable for the purpose of obscuring your garden from view. How much privacy your hedge offers depends on your choice of hedging plant and what you consider an acceptable amount of privacy, of course. The most obvious choice would be to go for an evergreen hedging plant, as evergreen hedges will provide privacy and screening throughout the year, even when the temperatures drop below zero. Conifers in particular are a good choice for privacy hedging, as their fast growth rate enables your hedge to reach the desired height and density without having to wait too long. 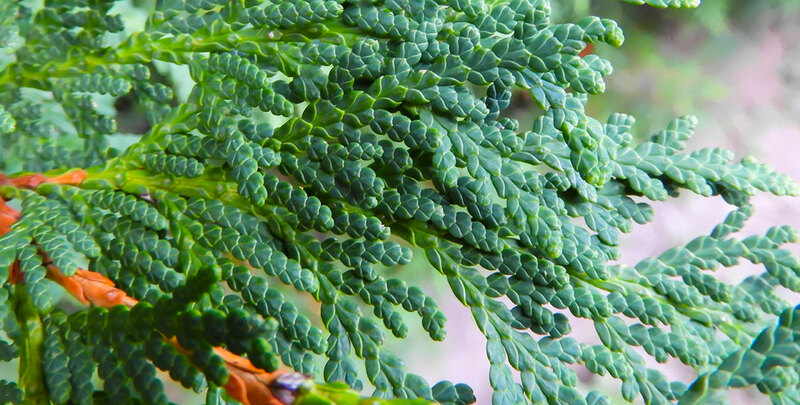 The Leyland cypress and Lawson’s cypress are good examples of fast-growing hedging conifers. The thuja, divided into white cedar and Western red cedar, and the dawn redwood are perhaps less popular, but equally well-suited to privacy hedging. Some evergreen hedging plants, such as yew and privet, are quite slow-growing. That means it will take a little longer before your hedge will be tall and dense enough, but it also means that your hedge will require less maintenance. 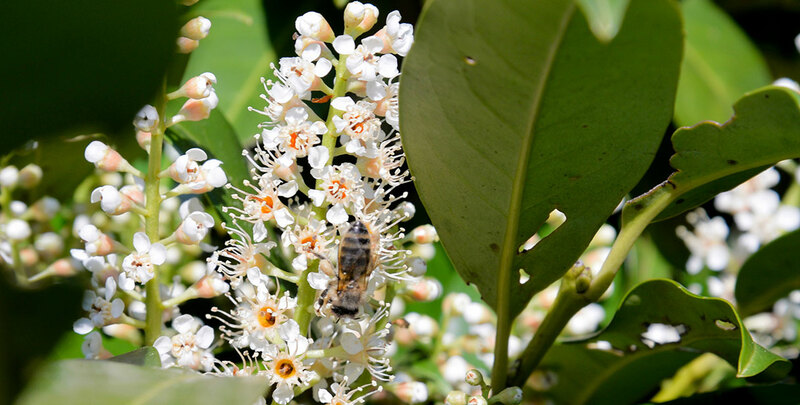 Should you prefer a flowering shrub to provide seasonal interest, the cherry laurel varieties such as the ‘Rotundifolia’ and ‘Novita’ are excellent alternatives. Both of these species are also fast-growing evergreens, but with their glossy green leaves, spring flowers and autumn berries, they offer much more visual interest than most other evergreens will. Due to their dense, and bushy growth habit, privacy will be guaranteed and of course, their evergreen nature will ensure that your hedge will stay dense and beautiful throughout the colder months of the year. In case you desire an even more impressive display of flowers, rhododendron hedging might just be the right choice for you. 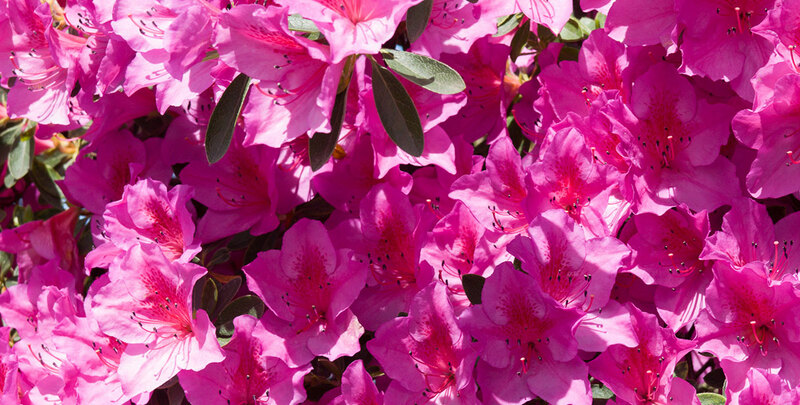 Rhododendrons can be either evergreen or deciduous. Either way, their large and bushy growth habit will provide a good amount of privacy and screening. In addition, rhododendrons are available in a wide range of different colours, which allows you to grow a hedge that truly strikes your fancy. That does not necessarily mean that you have to settle for a single variety and one colour; you might even consider combining several varieties into a mixed hedge with differently coloured flowers. Also, if the brightly coloured flowers of the rhododendron are too showy for your taste, you can always decide to combine a flowering deciduous hedging plant with an evergreen backdrop. Should you wish to create a privacy hedge in as little time as possible, choosing a hedging plant with an exceptionally fast growth habit, such as the Leyland cypress, is not the only option. You might also want to consider an instant hedge. Instant hedges are grown in the nursery and will not be sold and shipped to your garden before they have reached their desired height, ensuring immediate privacy from the moment you plant your instant hedge. Instant hedging can be pricey and if that is an issue, ivy screening is a fairly cost-efficient option. 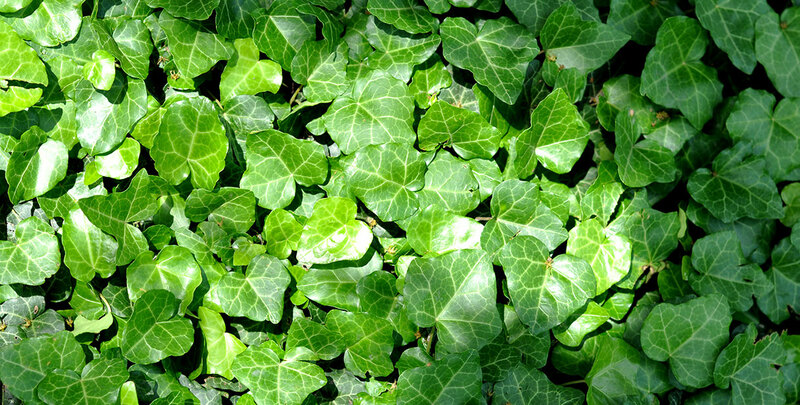 You may not think of ivy as a hedging plant, but when grown against a frame of some sort, it will form a dense screening hedge quickly. This will not take up a lot of space and is therefore an excellent privacy solution for smaller gardens. In addition to popular evergreen hedging plants, such as the common yew and a wide range of hedging conifers, bamboo can also create an excellent privacy hedge. We would especially like to recommend this option if you are looking to create a screening hedge that is a little more exotic in appearance. A garden with a bamboo hedge will create an aura of Far Eastern mysticism and the wind rustling through its leaves will have an almost meditative effect. It is worth noting that many bamboo species have a growth rate that makes them unsuitable for hedging purposes, but the bamboo species described on our website will not overgrow and are therefore a fine choice for a privacy hedge that will add an exotic character to your garden. While every aforementioned hedging plant undoubtedly has its ornamental value, hedges are often planted to ensure the privacy of their owners. There is a wide range of hedging plants suitable for privacy hedging and we strive to offer you an overview of all the various options available to both beginning garden enthusiasts and experienced gardeners. This way, we want to help you to choose the right privacy hedge for your garden. All of these plants have different soil and maintenance requirements, so please refer to the information pages of the specific hedging plants for more detailed information on planting and maintenance. The options range from formal screening hedges to more colourful, flowering privacy hedges. The hedging plant or combination of hedging plants that best suits your wishes is certainly out there.